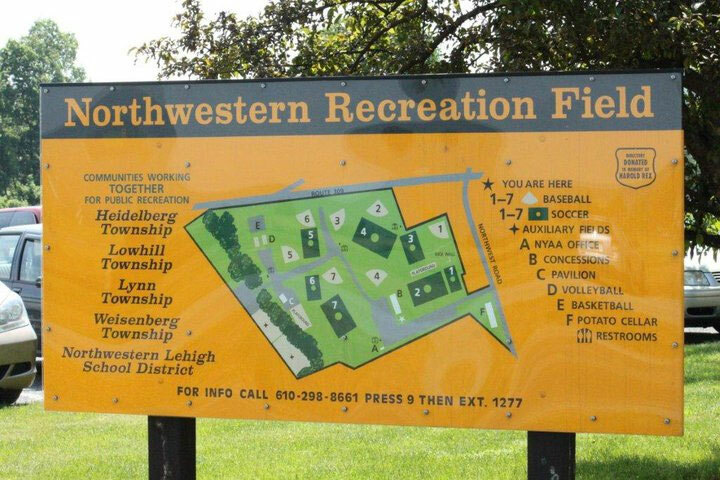 This field is owned by Weisenberg Township. The entrance to the stadium is the second left. 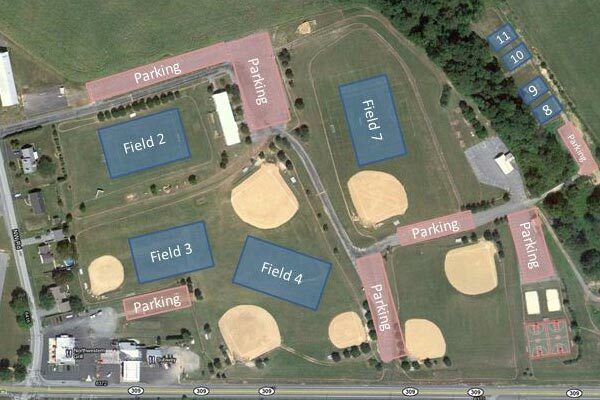 For additional parking, the first entrance on the left is the High School Parking Lot, the second entrance is for the Stadium, and the third and fourth entrances are for the Middle School. Directions: From Interstate 78, Take the Route 100 North Exit. Continue on Route 100 to the intersection of Rte. 309. Travel on 309 North for approximately one mile. Northwestern Lehigh High School will be on your right, immediately followed by the Administration building and Northwestern Elementary. Directions to Northwestern Lehigh: Take Rte. 22 or I78 West and exit at Rte 100 North exit. Follow Rte. 100 North until you reach intersection with Rte. 309. Make a left onto Rte. 309 North and follow Rte. 309 for approx. 2 miles. High School will be on your right at the intersection of Rte. 309 & Northwest Rd. immediately past the traffic light. 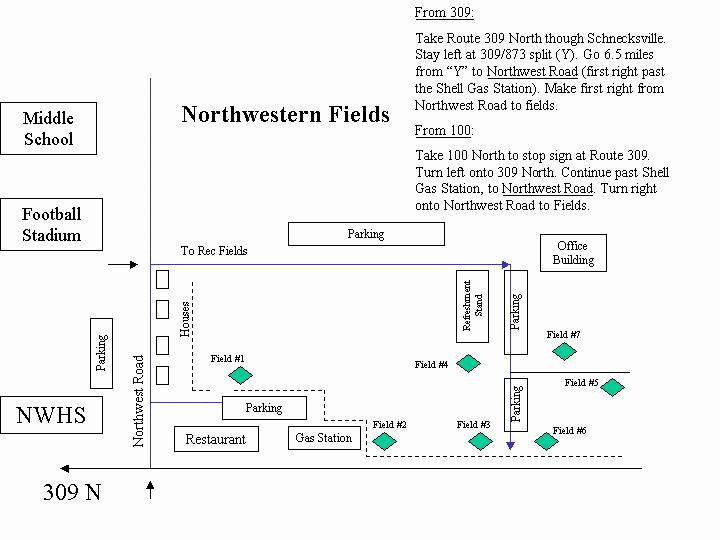 To get to the Stadium and facilities at the Middle School, make a right at the traffic light onto Northwest Rd. The first entrance on the left is the High School Parking Lot, the second entrance is to the Stadium, and the third and fourth entrance is to the Middle School.